When I became a real estate agent in 2001, I was not a real estate investor. I focused on selling houses for and to people, but when I became an investor the license was a huge help. When I started investing in rental properties my real estate license saved me thousands of dollars on commissions and I found more deals. Now that I flip houses and buy rentals the license saves me hundreds of thousands of dollars a year in commissions. The license also allows me to find many more deals because I can act faster and pay more than other investors. Being a real estate agent has helped me tremendously in my own investing strategy. I have purchased 20 long-term rental properties, and I am making at least 15 percent cash-on-cash returns on all of them. One of the reasons I am earning such high returns is that I save thousands of dollars on each transaction by being a real estate agent. I also do 20 to 30 fix and flips per year and save thousands of dollars on each of those transactions as well. I estimate that being a real estate agent saves me over $100,000 in commissions on my flips and rentals per year. That does not include the profit I made on deals that I would not have gotten if I were not an agent. How can you save on commissions? If you plan to buy more than one or two rental properties per year get your real estate license! If you do nothing else with your license except buy your own rental properties, you will save thousands in commissions per year. On every rental property I buy, I save a ton of money because I am paid a commission as the buyer’s agent. The commission may be 2, 2.5, or 3 percent per deal, but in the end that adds up to a lot of money. If you buy three houses per year with an average price of $100,000, being a real estate agent can save you $7,500 to $9,000 per year. 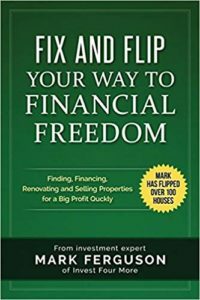 If you fix and flip those houses, you will more than double your savings because you will save a commission when you sell the house as well. On a recent fix and flip, I bought the home for $105,000 and earned a three percent commissions as the buyer’s agent. I am going to fix and flip this property and most likely sell it for $160,000. When I list the home, I will save another three percent commission that I would have had to pay another agent. On this one deal, I will save $7,950 because I am a real estate agent. How much money can you make fix and flipping homes? How can you get better deals? As a real estate agent, you have access to MLS and can do your own searches for properties without having to rely on an agent to find you the right deal. Having access to MLS gives investors a huge advantage because they do not have to wait for an agent to send them listings. I search for listings at least five times a day, and I routinely make offers on the same day a house is listed. An agent can also easily pull sold comparable information from MLS to calculate values on properties. Calculating accurate values is one of the most important things an investor needs to do in order to be successful. As a real estate agent, you can fraternize with other agents and people in the real estate world. The more people you know in the business, the more people you can tell that you are looking for property. Sometimes the best deals are those that are brought to you, not the deals you find yourself. Let everyone you know that you are looking for investment properties and you never know what will turn up. I have purchased a couple of properties that were never listed on the MLS because of my contacts in the business. The IRS has limits on how much money you can deduct on rental properties if real estate is not your primary job. If real estate is your primary job, you may be able to deduct many more expenses. For more details, please see the IRS tax code. If you are a real estate agent that does many deals, most agents will know who you are. If you bring a good reputation for getting deals done, sticking to your word, and being dependable, other agents will want to work with you on tough deals. Many properties that we buy have major issues and are tough to sell. Other agents know me and know I will do my best to get the deal done. I already mentioned the commission savings on investment properties, but there is another advantage besides just the money savings. If I save $8,000 in commissions on a fix and flip deal, I can buy that property for $8,000 more than an investor who does not have their real estate license can. That savings allows me to pay more money and get more deals than other investors while still making a profit. 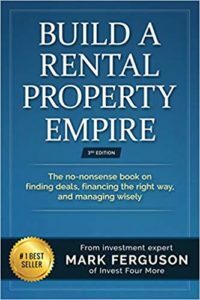 For more information on investing in rentals, check out, Build a Rental Property Empire: The No-Nonsense Book on Finding Deals, Financing the Right Way, and Managing Wisely. The book is 346 pages long, comes in paperback, in audiobook, or as an eBook, and is an Amazon bestseller. Selling 30 flips I save 3 percent commission on each flip because I can list the home, instead of another agent. My average flip sells for $225,000, which equals $202,500. 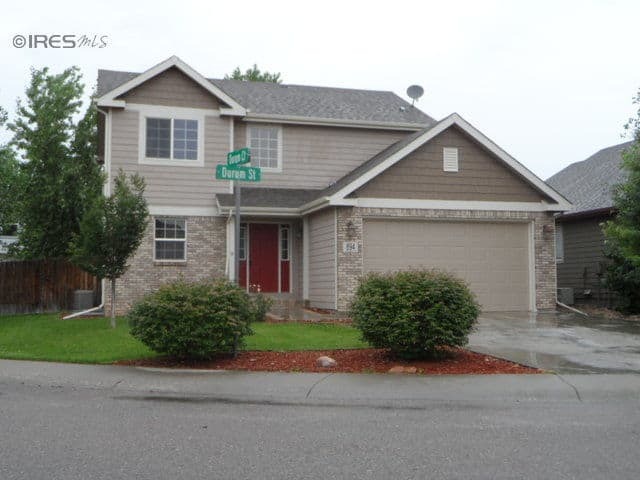 I will buy close to 30 flips, but not all of them are MLS deals. If I assume half of them are MLS deals and I buy them for $125,000, I save $56,250. I will buy three rentals totaling about $500,000 which saves me another $15,000. I will save over $270,000 by being a real estate agent this year on my own deals alone. I have a great set up with my broker where I get 100 percent of the commissions and pay him a flat fee every year. If you have to pay your broker a split of your commissions you may not save as much money. I am biased, but I think being a real estate agent is one of the best opportunities out there. There are many forms of income in the real estate business. If you are motivated and dedicated to making it in the business, you can make serious money. I will not go into details in this article, but here are some of the different areas that can generate income. If you want to be a serious investor, you will want a property manager to handle your rental properties at some point. If you start your own property management business, you can manage your properties and other properties as well. Not only are you saving ten percent per month on your rent coming in by doing your own management, but you can also make extra cash by managing other investors properties. This is the most common way to earn money as an agent. Retail sales involve listing houses for private sellers and selling homes to buyers. If you are dedicated and treat this as a real job, you can make a lot of money. Many agents make over $100,000 per year and the very best make much more than that. Commercial real estate requires much more experience and knowledge than residential. It is difficult to break into commercial unless you start with a commercial firm that can mentor you. Experienced and successful commercial agents can easily make hundreds of thousands of dollars per year. REO properties have been foreclosed on and they have gone back to the bank. REO agents list and manage these homes for the banks. Agents can make a very lucrative living if they work with the right banks. It can take years to build up your business and the supply is determined by how many homes are foreclosed on. REO agents are not allowed to buy their own listings, as it is a conflict of interest. Here is a great article on how to list REO properties. Short sales homes are listed by private sellers who are selling the home for less than they owe the bank. There is a huge market for short sales and many agents make a great living specializing in this field. It takes a lot of patience and diligence to close a short sale since the banks have many requirements and they can take months to approve a short sale. A BPO is a one to three-page report used to determine value on properties but is not an appraisal. Licensed agents can complete BPOs for various clients including banks. The agents are usually paid between $30 and $80 per order. Some agents make a living only completing BPOs. It is a great way for agents to supplement their income while learning the business. I discuss how to get BPO business in my REO starter kit. How can you become an agent? I discuss how hard it is to become a real estate agent in this article. You must take pre-licensing classes and then pass a test in most states to get your real estate license. My assistant got his license through Real Estate Express, which also has a great licensing program in all 50 states. Real Estate Express also has some of the lowest prices I have seen, although I have not researched every real estate school. There are many ways to make money as a real estate agent. Even if you just want to buy or sell a few of your own listings each year, I believe becoming a real estate agent is well worth it.